You’re gonna hate me for this, but I’m going to use the same game twice in a row. The Uncharted series is the best I can think of at the moment. 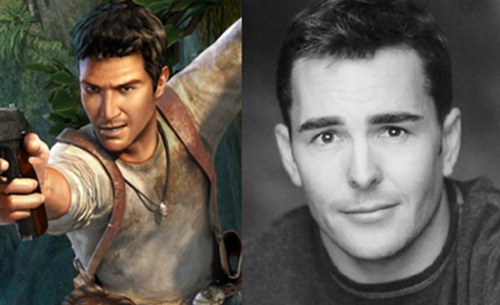 So what if Nolan North is in almost every video game ever made? He does a mighty fine job both voice acting and mo-capping Nathan Drake. Not to mention all the other great actors too who do their voices at the same time as their movements are being captured.